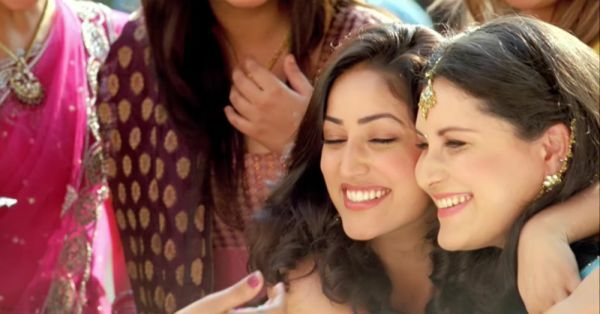 Dear Bestie, 10 Reasons No One Can Ever Replace You! 1. You’re the only one who gets my ridiculous jokes! And also the one who tells me to my face how pakau they occasionally are! 2. When I run into some extra money and start crazy shopping, only you can pull me away! And the thing is, I wouldn’t really listen to anyone else telling me that I just don’t need another pair of blue jeans! What do they know?! 3. When I get bored of my clothes and have no money to treat myself to new ones, whose wardrobe becomes my own? 4. You’re the only one who can get me to go out after a breakup! Even when all I want to do is lock myself in my room and live in despair. You are my sunshine, seriously! 5. You are the "help central" for my boyfriend too! How else would the poor guy ever get me the right gifts and plan the right surprises? 6. You still help me with getting my parent's permission. Just by putting on that smiling, convincing face that they completely trust. You have taught me the ways of the world, bro! 7. If I were to murder someone tomorrow, you're the one I would call! Who else would first come help me dispose off the body, hide all clues and only then freak out?! I know you’ll be there for me, come what may! 8. You just know what I need and when I need it! Before I can even put it into words! Such magical telepathy is rare, babe. 9. I am also counting on you to keep me sane during my wedding, away from the drama of my relatives. And organize my crazy bachelorette before that, of course! 10. But most importantly, you’ve taught me what true love really means!